"Yet another device that smartphones, like the iPhone, have made obsolete are alarm clocks." 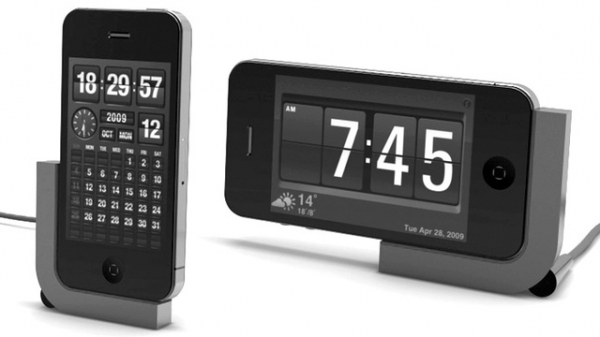 Well get your alarm clock groove back with this snazzy dock for your iPhone. I usually just put my iPhone on the table and leave it at that, but if you need to have a dock for yours, or just want to spruce it up a bit, this is a pretty good way to do it I think. Clean design and you can use it portrait or landscape. But you can't get it until June. If you want to check out some other interesting designs, head over to the Bracketron site where you can also monitor the availability of this $34.95 USD dock.